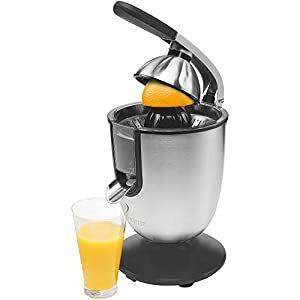 Product Description, The Princess 201852 Champion Juicer is the ultimate appliance for juicing all citrus fruits, from grapefruit to limes. The cast aluminium lever arm ensures every last drop of juice is squeezed with the minimum of effort. Spoil yourself with a healthy and delicious glass of freshly-squeezed juice at any time of the day.. Please note – please don’t run the juicer for more than 15 seconds at a time, and make sure take a 10-minute break after juicing 10 fruits. The appliance is equipped with overheat protection, which will turn the appliance off should the temperature get too high. Once the appliance has cooled down, the thermostat will reset automatically. Princess Juicers are the ultimate appliances for juicing all citrus fruits, from oranges to grapefruit to limes. Get your daily vitamin boost with a glass of delicious, freshly squeezed juice. Simple to use, you can rely on Princess juicers to provide fresh, healthy juice every day. With minimal force required on the lever arm, juicing is a breeze! The design of Princess Juicers means that every last drop is extracted, for maximum efficiency, maximum vitamins, maximum taste. Princess Juicers feature a convenient drop-stop spout, for when you need to change glasses. Sticky worktops will be a thing of the past. 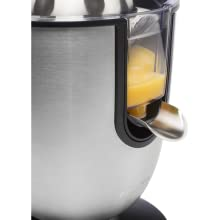 All detachable parts of Princess Juicers are dishwasher safe, making cleaning up fast and easy. With dedicated Customer Service support, you can be reassured that your Princess product will part of your family’s life for years to come. Princess – exciting, surprising, affordable! 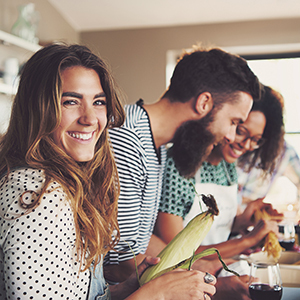 No-one wants daily chores to get in the way of great times with our family and friends. Princess kitchen appliances are new to the UK, but have been helping busy families across Europe enjoy more fun together for 25 years. High-quality and stylish, you can rely on Princess products to do the job you need them to, at an affordable price. Surprising and innovative features keep the whole family interested and involved. With new and exciting products launching regularly, here at Princess we look forward to you joining our family, while helping you make more time for yours. 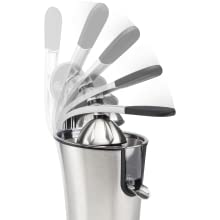 For all kinds of Citrus fruit: the innovative cone of the Princess Champion Juicer has upright edges, which hold large and small Citrus fruits in place for fast and effective juicing. Sturdy construction: the strong cast aluminium lever arm means minimal force is required to produce maximum juice. The juice flows through the pulp filter and into your glass, and there is a convenience drip-stop spout for when you need to change glasses. 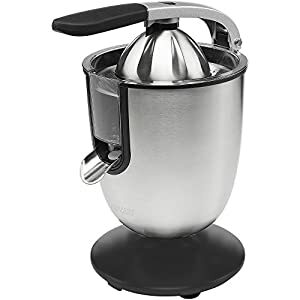 The non-slip feet mean the juicer stands firmly on your worktop. Easy to clean: all detachable parts of the Princess champions juicer are dishwasher safe, so cleaning is a breeze. 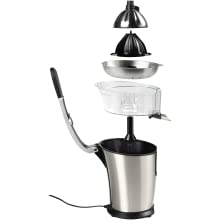 Princess quality: hard wearing, the champion juicer will be your favourite kitchen appliance for years to come! Apace Living Pour Over Coffee Maker – 2019 Edition – Elegant Coffee Dripper Brewer Pot w/Glass Carafe & Permanent Stainless Steel Filter : Simply good coffee!